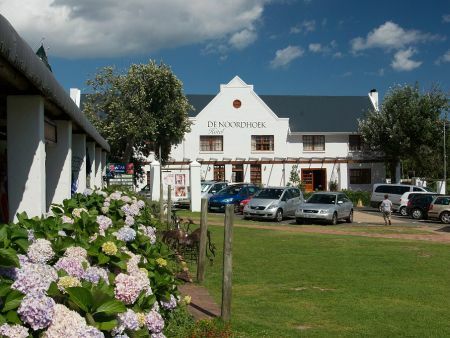 Noordhoek Hotel is a 4 star 20-bedroomed Boutique Hotel set in the beautiful, vibrant Noordhoek Farm Village in Cape Town, South Africa. At the base of Chapman's Peak with Table Mountain National Park to the one side and the beautiful Noordhoek Beach to the other, Noordhoek is certainly one of Cape Town's best kept secrets. A must visit destination for any well-travelled visitor to Cape Town. Our piece of paradise is home to some amazing places. It is these attractions that make Noordhoek a world class destination for life or holiday. It is made even more so by the folk who have established businesses here and the passion that they have shown for and put into these businesses. We simply love what everyone does in Noordhoek and only feel it correct that we share our "Best of Noordhoek" with you when you spend time with us. After all we think we are quite good at spotting something special and unique that's why we built this fantastic hotel. Our rooms are en-suite and come fitted out with fine quality linen and beds. Our common areas include a lounge, breakfast and restaurant area, sushi patio, pool and sunning area and a meeting room for corporate visitors. The hotel is fully wireless and is complimentary to all hotel guests. We do also have a quiet computer corner if you haven't brought your own! Don't be fooled by Cape Town's busy city life, Noordhoek is 20 minutes from the city centre and 20 minutes from Cape Point. A great place to explore Cape Town from and you must explore Cape Town. 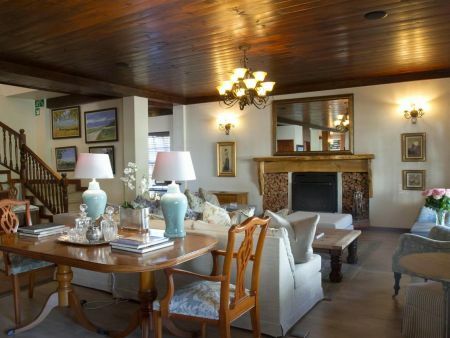 Come and be our guests, you will want to move to Noordhoek! 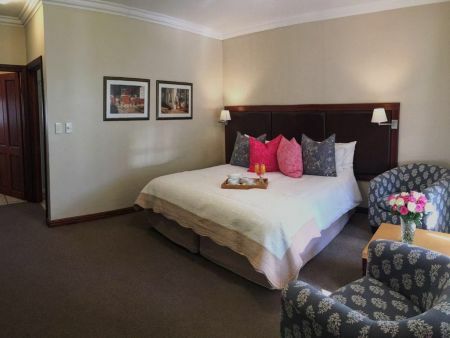 Each of our 20 rooms at Noordhoek Hotel is equipped for your staying pleasure. In our boutique hotel all rooms are en-suite. Bath and shower come standard with the option of bedding to be configured as king or twin depending on your preference, and they are the most comfortable beds in Cape Town! Each room is equipped with an air conditioner to keep you cool in the summer and warm in the winter. Electric door locks and a programmable safe are standard in each room. We provide a direct dial telephone, hairdryer, in room hot beverage facility, wireless and satellite TV. 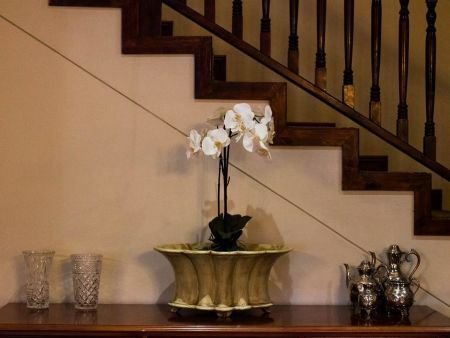 Once you venture outside your room you’ll find the best Sushi and Asian delicacies in the South from our Village Sushi restaurant, a cosy guest lounge with an open wood burning fireplace and bar for your convenience. 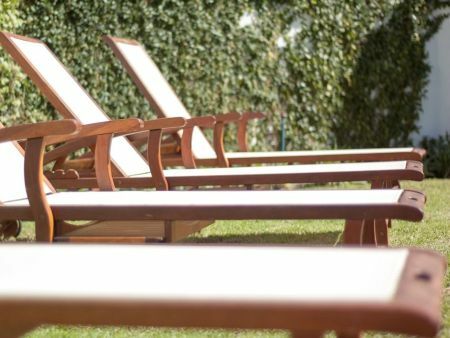 We also have a lovely swimming pool and lounging area for soaking up the warm African sun. All around you will find an indigenous garden all set in a family friendly environment. For your convenience we provide secure parking, computer facilities, laundry facilities, 24 hour reception, an information service and conferencing. When you are ready to head out you will fall into village life. 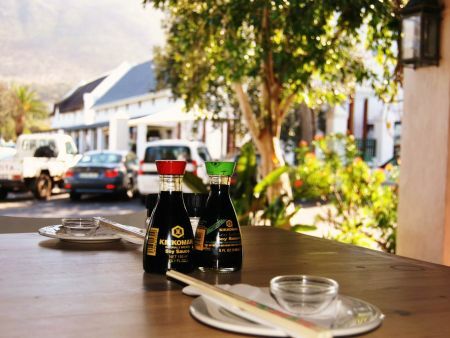 In addition to Village Sushi - The Toad, Café Roux, The Foodbarn Restaurant and The Foodbarn Deli and Tapas are all fantastic restaurants and meeting places and are unbelievably conveniently situated on our doorstep. No heavy traffic, parking difficulty or shopping malls just a very quaint and inviting village atmosphere, like something you would find in Utopia! 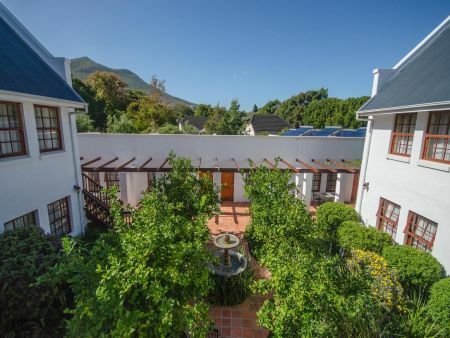 And when you ready get in your car and head for Noordhoek Beach, Chapman’s Peak, Table Mountain or Cape Point and you will soon realise how conveniently situated our rooms are. We challenge you to find a better value for money offering anywhere in Cape Town. Come and enjoy our village life. Corporates looking for a relaxed meeting space in a natural environment should look no further than Noordhoek Farm Village. Our location & facilities are especially appreciated by organisations that prefer to meet close to Cape Town, whilst avoiding the congestion of city traffic. 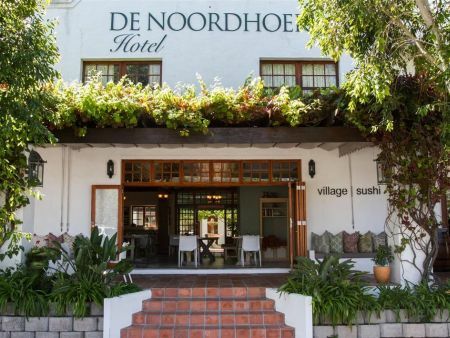 Noordhoek Hotel's centrally located conference facility is close to many tourist attractions, beaches and other natural wonders, so delegates never have to wander too far for relaxation between meetings. Seating configuration allows for a maximum of 35 delegates. All rates are quoted in South African Rands, per night including breakfast and 15% VAT. All rates are subject to change without notice.